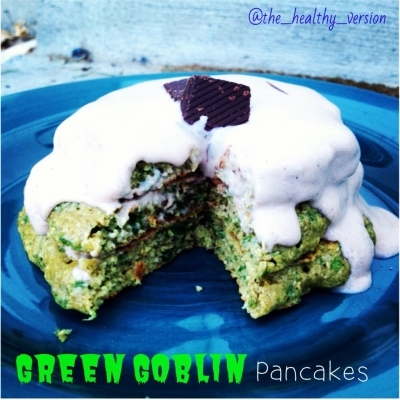 If you hate spinach as much as I do, then you will love these pancakes because you reap the benefits of the great greens but you don't have to taste it! Give them a try, I bet you will love them! Mix ingredients and pour on a preheated 350F preheated griddle, cooking 2-3 mins each side. The protein fluff is just a mixture of greek yogurt, chocolate whey, almond milk, and stevia. You can use this (recommended) or sugar free pure maple syrup if that's what you prefer!